Our Tweed Kilt is woven with pride in the UK & is ideal for people who prefer a modern version of the traditional kilt. The Tweed Kilts we sell are available in a wide range different tweed designs, so we are sure you will find the perfect design for you. We feel that the tweed kilt is a fantastic way to wear the kilt in a modern, and interesting way. Our Tweed Kilts are expertly made from 5 yards of high quality wool and tweed woven in the UK. Each tweed kilt is custom made for you using your measurements that you provide and it comes with a tapered and fringed front apron. In terms of pleats, there are around 18-28 pleats which are approximately 1″ wide. For closing the kilt, it makes use of a three buckle closure. The Tweed Kilt is made with two belt loops which are fitted on the kilt to allow you to wear a kilt belt. 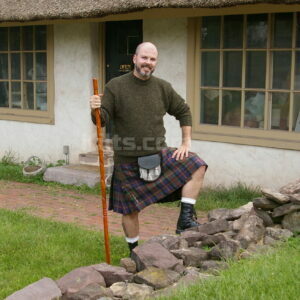 Our solid colored kilts are quite in fashion these days! If you buy one of our Tweed Kilts, we’d recommend that you buy a Tweed Jacket with it as well to complete your outfit. – We use 5 yards of Tweed cloth used in your chosen design. All tweeds and wool are proudly woven in the UK. 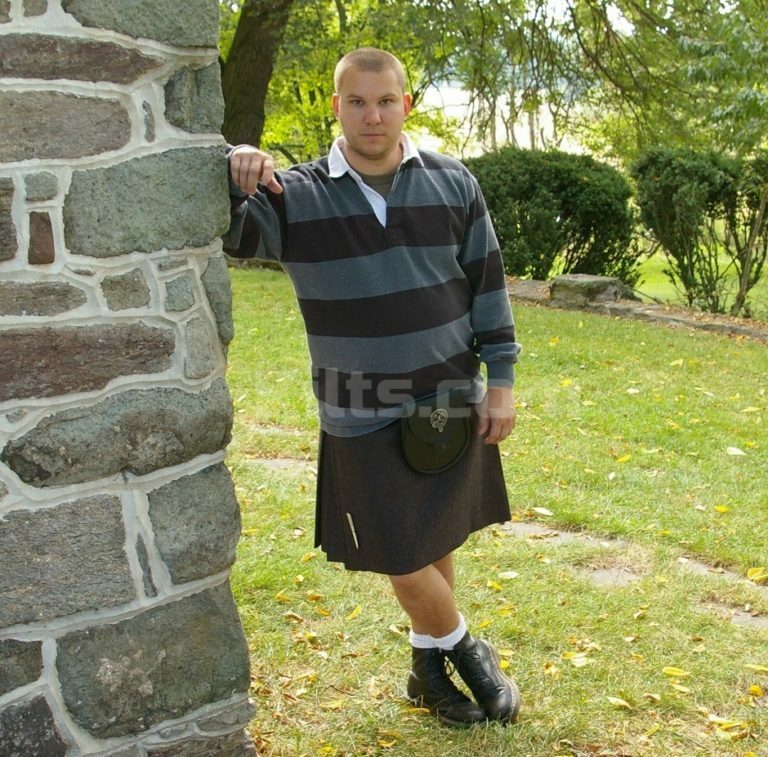 – The tweed kilt makes use of the traditional ‘three buckle closure’ that you would expect with a normal tartan kilt. 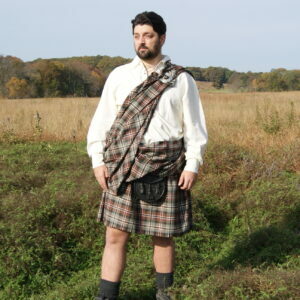 – The kilt is also Top stitched and is lined with cotton twill material (9oz) to provide comfort for the kilt wearer. 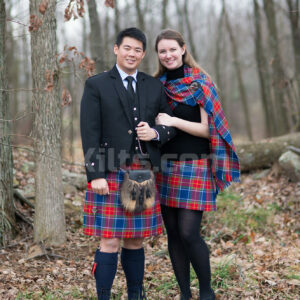 – We have fitted high quality leather straps for holding your kilt in place. – There are two 4″ loops on the back of the kilt which allows you to wear a kilt belt with this modern take on the traditional kilt.